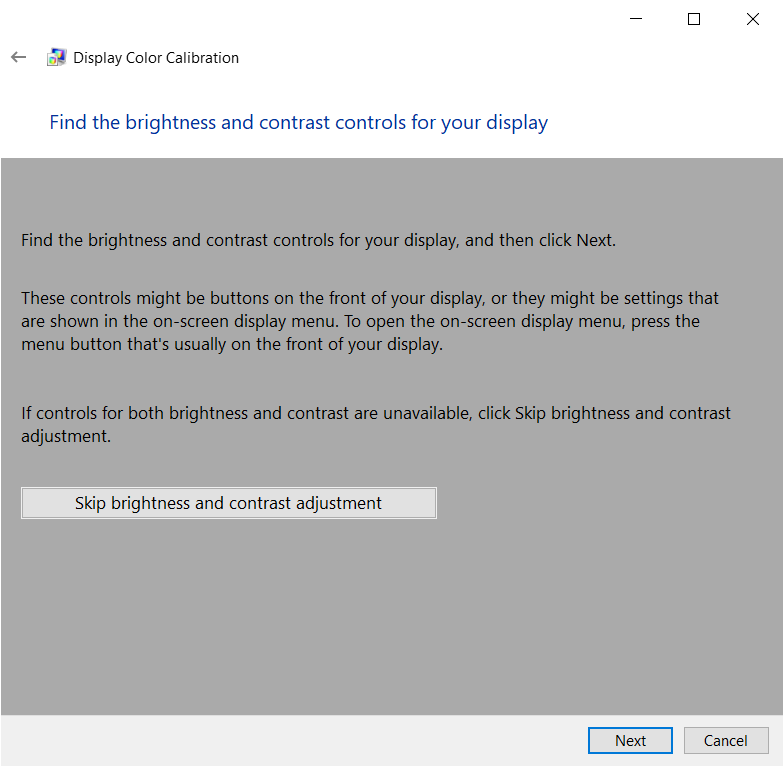 If you are not satisfied with the default screen parameters (brightness, contrast, vividness, and other parameters), then you probably wonder if there any way to calibrate screen on Windows 10. Luckily for you: yes, there is. 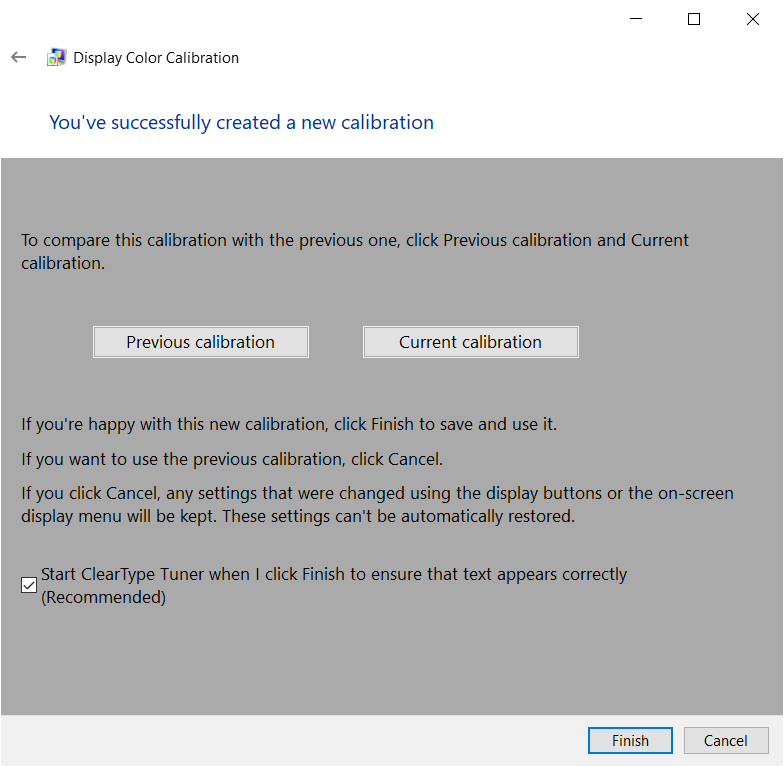 Screen calibration utility comes standard with every Windows 10 copy, so there is no need to download any third-party software. Do note though, that in this article we won’t consider professional tools which requires additional software. This manual is for those who just want to tweak and calibrate screen just a little to make sure it looks up to their taste. Screen perception is individual up to every user so calibrate your monitor according to your own preferences without extremes. And there is one more important thing before we start. You need to have an administrator access level, otherwise, Windows will ask you to enter a password while doing screen calibration. Screen calibration tool on Windows 10 is buried deep inside the system’s guts. Luckily for everyone (yes, even for the most advanced users), you can simply press Win + R and enter dccw. Hit Ok and you will see Windows 10 screen calibration utility. If you have more than one screen, move the calibration utility window to the one you need to calibrate. Pretty neat. On the first step, you need to reset your monitor settings to make sure everything is the default. Since every monitor is unique and has its own menus, quirks, and features, you better look at the screen’s user manual. Don’t know how to do that? No worries just skip this step and press Next. Now it is time to mess with settings. First is gamma. Carefully read this setting’s explanation to clearly understand what is what. Look at the sample images and press Next. Now adjust the slider to make sure small circles within the big ones are almost invisible. They shouldn’t be gray or white with a clear outline. If you are not satisfied with how everything looks like, hit Reset. Next is brightness and contrast. These settings are inside your screen menu. Again, check user’s manual to learn how to adjust these settings (usually Windows can’t change these settings using its own software). Did not find how to adjust brightness and contrast? Press Skip brightness and contrast adjustment. Carefully look and image samples and adjust contrast and brightness. You should clearly see jacket details and the big X on the background shouldn’t be visible at all. Contrast adjustment is similar. Make sure wrinkles and buttons on the shirt are clearly visible. 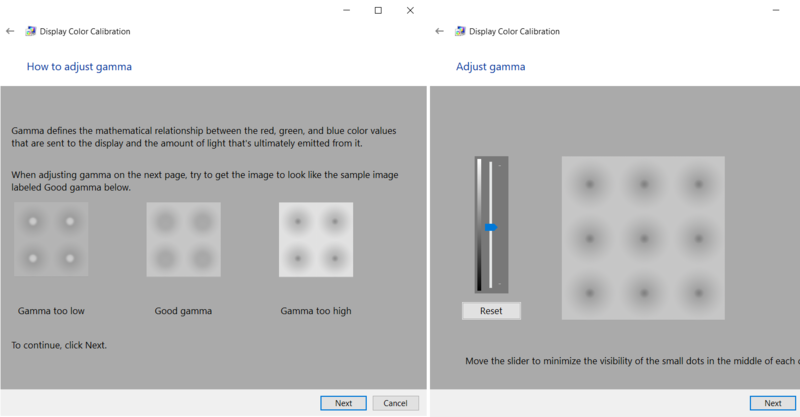 Next is a color calibration on Windows 10. This time you will need to adjust sliders in the Windows, not on the monitor, although you may calibrate these sliders inside the monitor menu separately later. Click Next and move three sliders so the big fat stripes remain as gray as possible. There shouldn’t be any mix of green, blue, red, yellow, pink or any other color. When you’re done, hit Next. Now compare two settings by pressing Previous calibration and Current calibration one after another. If you don’t like the new one, go back to the beginning and start again. Repeat until you find the sweet spot. Leave Start ClearType Tuner checked and press Finish. Now into the last part. At this moment you have proper screen gamma, brightness, contrast and color balance. All you have to do is to tune how your monitor renders text. CrealType calibration gives you the sharpest, clearest and the easiest way to read text. Spend a few more minutes in there and you will get the best possible look. From your point of view, obviously. Your eyes will thank you for this. On the first page press Next. If you have one monitor, make sure it is set to its native resolution. If you have few, select which one you want to calibrate. You can calibrate them altogether or each separately. On the next step, you will get five examples of text with two options to choose. Select the one you think is the best and press Next. Most probably your choice will be the same as Windows’. Hit finish when you are done. Here’s a tip for you. 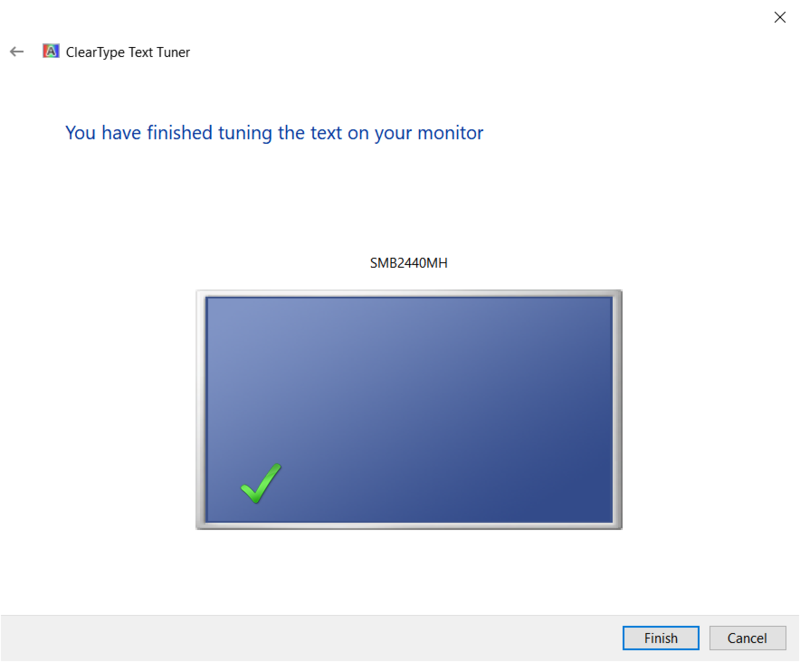 If you are ok with basic monitor settings but want to change how text looks like on your screen, there is no need to go through the entire process of monitor calibration. Simply press Win + R and enter cttune to launch ClearType Tune utility separately. Now you are all set, and the monitor calibration procedure is complete. Enjoy your screen and remember to give your eyes some rest they deserve.